OJ&B Is DNAInfo.com's Guest Pinterest Pinner Of The Day! I love this badge that DNAInfo.com made for me! I am so excited to be DNAInfo.com's guest Pinterest pinner for today! I have a ton of stuff happening this afternoon and I cannot wait to live pin it with everyone. I am super honored that they chose me for one of the days of fashion week. The start of my guest pinning for today. 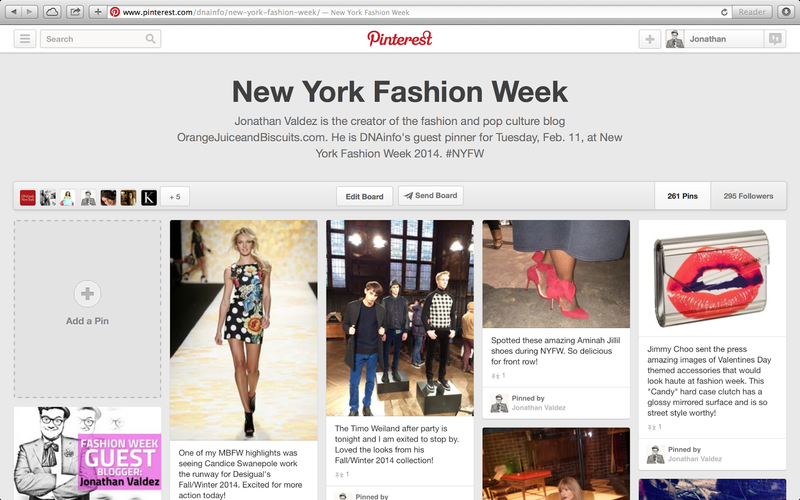 Make sure to follow DNAinfo.com's New York Fashion Week Pinterest board that you can find here. 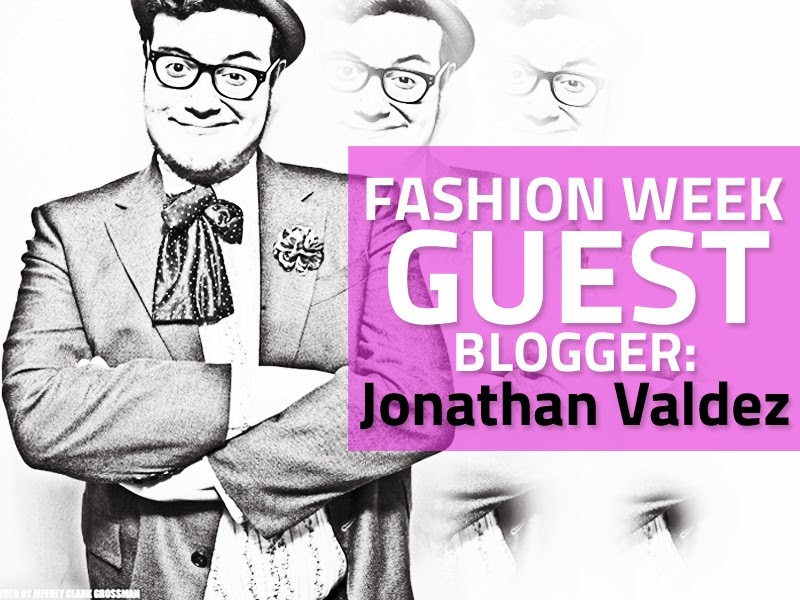 You can also follow me and all of my fun and fab pins on my official Pinterest board Pinterest.com/JonathanRValdez. Last but not least, you can read all about the other guest Pinterest pinners and me by checking out the awesome article written by DNAInfo's Serena Solomon. Click here to check it out! Now it is time for me to get nice and dapper for this afternoon's shows! Happy pinning guys and gals!